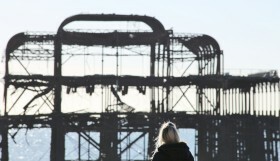 With Brighton having such a thriving comedy scene, it can be hard to pick out and keep up with the shows that you really wouldn’t want to miss. Below, we have selected some outstanding comedy, where you are pretty much guaranteed an excellent night of hilarity. Whatever your taste we are certain there will be something for everyone in this selection of September’s comedy highlights. I know I have mentioned Krater Comedy Club before, but come rain or shine, Krater is there for your comedy needs. It’s won best Comedy Club in the South an unprecedented 13 times, so it’s clearly doing something right. As well as the comedy they serve a full menu on the prime time shows, so your whole evening is taken care of. Throughout September they have a summer sale where you can get £5 off tickets on Thursday, Friday and Sunday night Kraters until Friday 30th September. Simply enter the promo code ‘summerlaughs’. 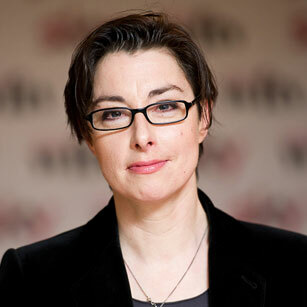 Sue is best known for being one quarter of double act Mel and Sue. In 2008 she won the BBC show Maestro culminating in her conducting at The Last Night of the Proms. Sue is a regular contributor to Have I Got News For You, Just a Minute, Qi and The News Quiz. Each ticket will include a copy of Sue’s new book Spectacles. Sue will be signing copies after the show. 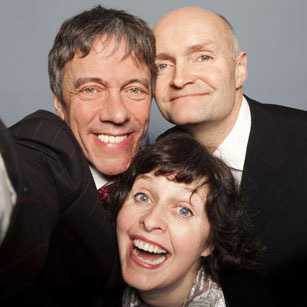 You’ve watched them laugh on your TV, now is the chance to laugh with them at Brighton’s brand new comedy show LOLBOX. Gogglebox’s Michaels family, Andrew, Carolyne, Louis and Alex have bought together the best of Brighton and London comedians for an exclusive night of goggling and giggling. Celebrating local talent in much-loved local venue Komedia, LOLBOX is a one-off special event in aid of Raleigh International, a sustainable development charity who works in remote, rural areas to improve access to safe water and sanitation. 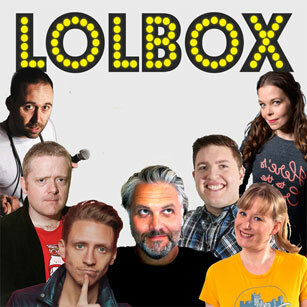 LOLBOX has a cracking line-up including Mike Cox, Dan Fardell, Graeme Collard, Jules Oliver (me), Juliette Burton, Alistair Williams and headliner David Jordan. This is a top quality night of character comedy from some of the country’s leading character acts. 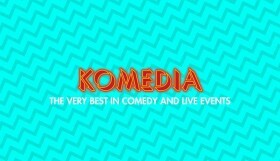 Previously at Komedia’s Studio Bar, Jo’s shows featured folk singing flash mobs, a dog in a box, TV comedy stars trying new material and tons of brand new characters, live music, accidental lap dances and hysterical crying with laughter. All held together by character actress par excellence Jo Neary (best known as Judith in Ideal as well as numerous other TV character comedy roles). “A Joyce Grenfell of our age” The Guardian. “a hugely entertaining variety turn” The Guardian. Most people know Isy as Dobby in the brilliant ‘Peep Show’ but as well as being an actress she is also an award-winning comedian, writer and songwriter. She regularly performs to live audiences and on radio, including her Sony Award-winning BBC Radio 4 series Isy Suttie’s Love Letters, and has been nominated for a British Comedy Award three times. 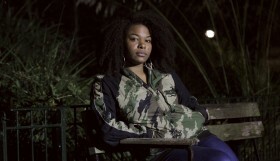 Isy has written for Red, Glamour, The Guardian and The Observer. 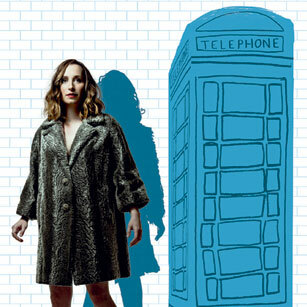 Isy Suttie’s new show is about that moment in your late 20s when you suddenly realise that all your mates are growing up without you – featuring stories, songs and readings from the new book of the same name. Sticky Mike’s basement is a great intimate venue for showcasing new comedy. Brian Gittins (star of Ricky Gervais’ Derek) knows this well and continues to bring some of the best alternative comedians to join him in the basement. This month taking to the stage will be the UK’s favourite Youth Leader Mr David Edwards. 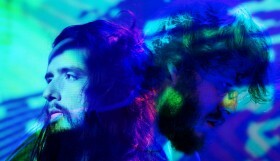 The format will be a Q & A – So you the audience can get up close and personnel with David. He’ll be in the spotlight firing back ‘truth bombs’ with his usual style and grace. If that’s not enough we also have Brian’s naughty spots unleashing some of the newest comedy talent out there. As usual the proceedings will be MC’d badly by Brian Gittins.